Beautiful Pixels is a website that celebrates digital designs and the beauty of the pixel. 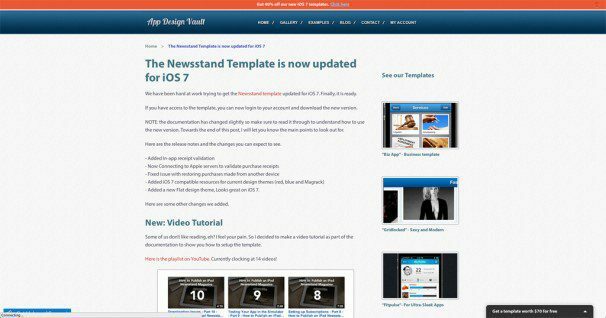 The website covers a wide range of devices and topics but there are a lot of useful mobile app design resources. 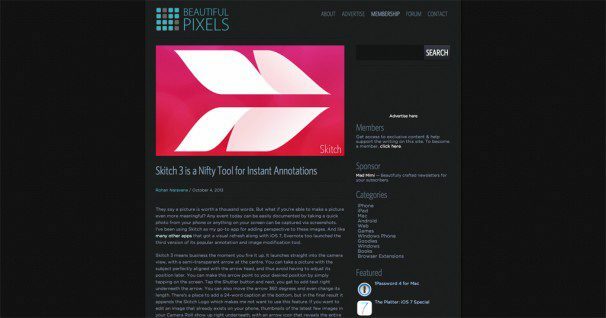 Beautiful Pixels often showcases the best in UI design, but they also link to some incredibly useful resources. Android Niceties is a collection of the best Android app designs, great for the times when you need a bit of inspiration to start a new design. The screen shots are nicely presented and represent apps from all categories such as weather apps, news apps and much more. App Design Vault’s blog is a hidden gem full of incredible app design information. 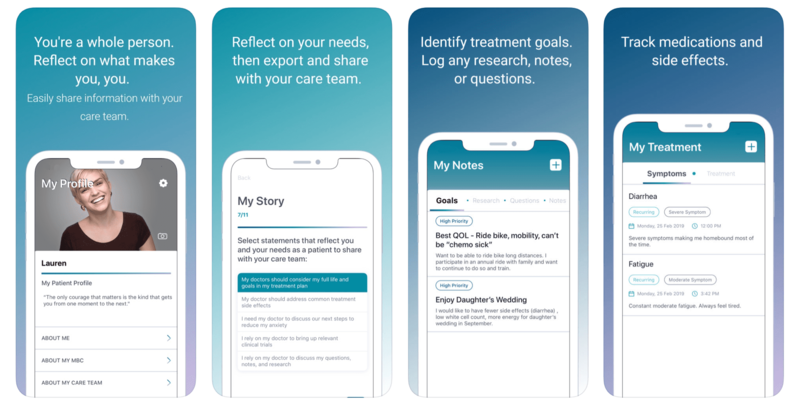 The blog contains information on both the development and design aspects of app development and it also links to resources you can use in your workflow. App Design Vault also offers templates and other professional app design products to help you create the best UI design possible for your app. Inspired UI is another app design gallery. Featuring amazing designs for both Android and iOS, if you ever need a boost in inspiration and creativity, just take a glimpse at Inspired UI. It is blatantly obvious that the people behind the website are passionate about UI and they have done a great job in curating all the best designs to one place for your viewing pleasure. 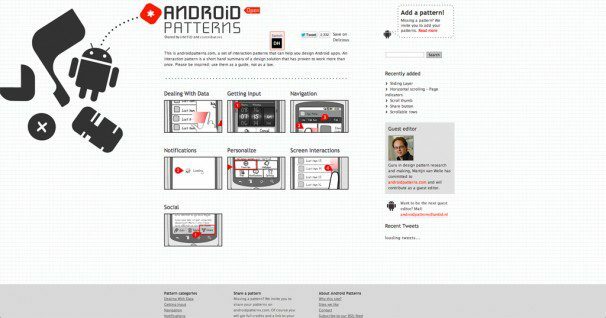 Android Patterns is a set of common interaction patterns that will assist in creating your Android app design. They are intended to be a guide to help spark your own ideas and streamline your designs. Android Patterns is aimed at developers and designers who want consistent animations and interactions throughout their app. 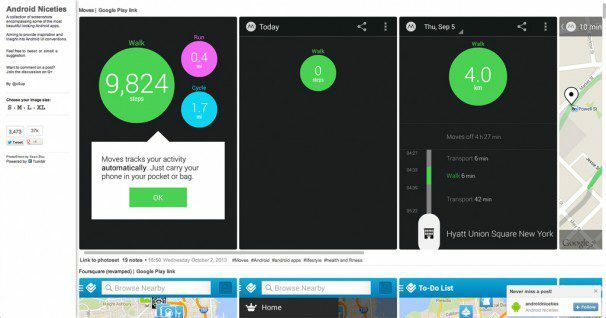 This detailed post by Radesign goes over some tips and tricks you can add to your repertoire of app UI design. There are also some other app design tutorials and articles you might find of some use on the Radesign blog. 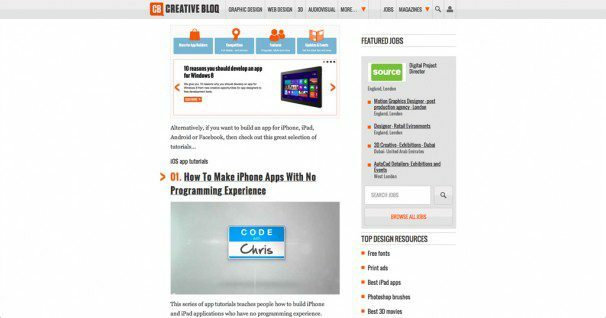 Creative Bloq have an extensive library of fantastic tutorials you can try to familiarize yourself with app design and development. As you spend time completing these tutorials you will become more comfortable with creating effective UI designs. Learning app UI design can be a bit tricky because it is a blend of technology and psychology. Good UI design must function well, but it must also make sense to the user so it is immediately accessible. Hopefully these resources will show you how to build effective user interfaces and possibly reveal new resources to use in your workflow.